Eureka! !She’s lovin my tactile idea to learn! My girl (3YO) was struggling with tracing the alphabet ‘a’ with a blackboard marker and it got me thinking there must be something easier and more manageable for her…. In case, you are wondering, she was the one begging to do writing as she saw her brothers were doing their work. So why not? I had a packet of flourescent Clay and decided to use them and keep it in an airtight container to prevent drying up. (I think it’s from Daiso) Using Plasticine or Playdough is just as good unless you want the template to harden. 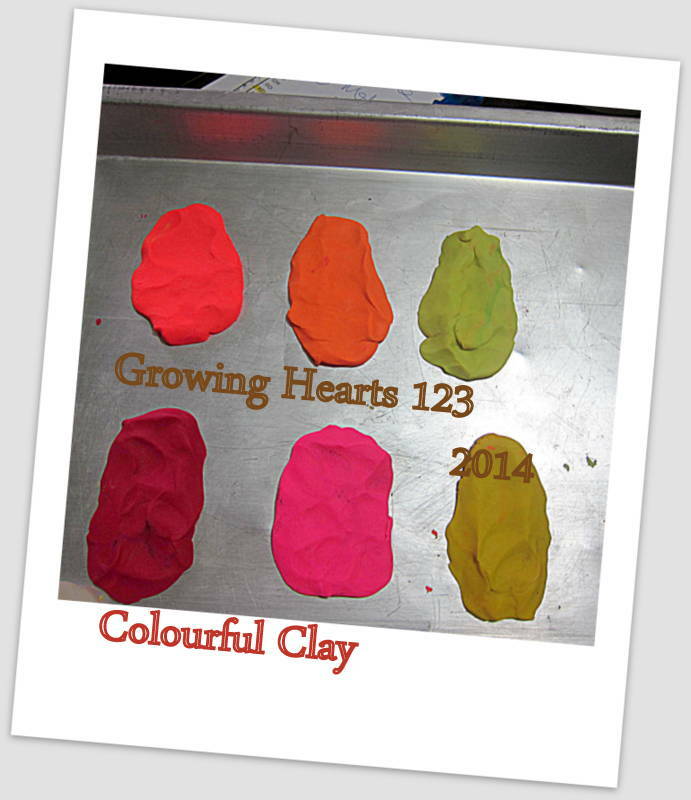 Materials: A baking tray and non toxic ‘clay’ which felt more like a tougher version of playdough. Press the clay into an oval mould with some degree of thickness for depth. Do take note of how your child holds the stick and pencil (take a look at the different types of grip). My girl managed to have a decent grip (via lots of drawing and painting time) but I had to encourage her to hold the brush firmly and straight as opposed to being slanted. Each time we correct their grip, they will improve and not develop a bad habit in the long run. Step 3) Place a paper and secure it down with a tape, then repeat Steps 1-2. Junior still using the stick/brush to practice before step 4. Step 4) Junior uses a pencil to trace alphabet and begin writing. Lastly, junior repeats tracing the alphabet without the clay and copies her own printed letters. 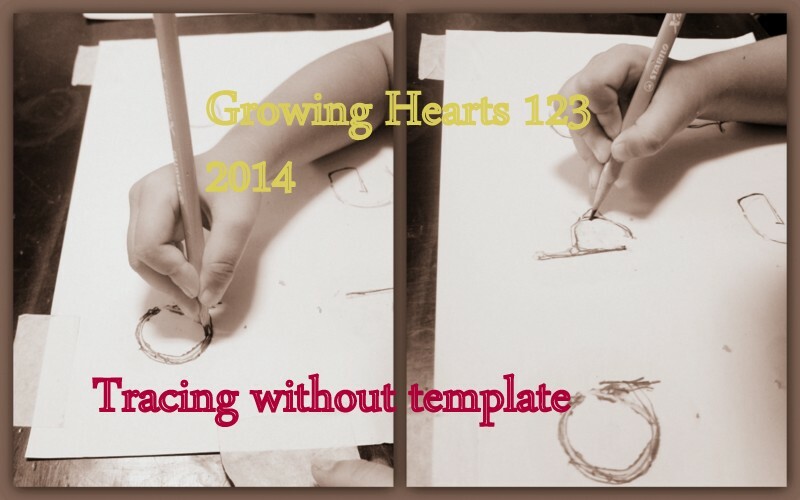 I found that by the end of these steps, she was able to control her pencil much better and had eased into writing more comfortably than before. Best of all, she loved doing this! We also did Numbers and my girl’s name, as well as experimented with Chinese Character (with J) using this method. Previous How to help my kids’ restless feet, itchy fingers and wandering mind? This is a wonderful idea! 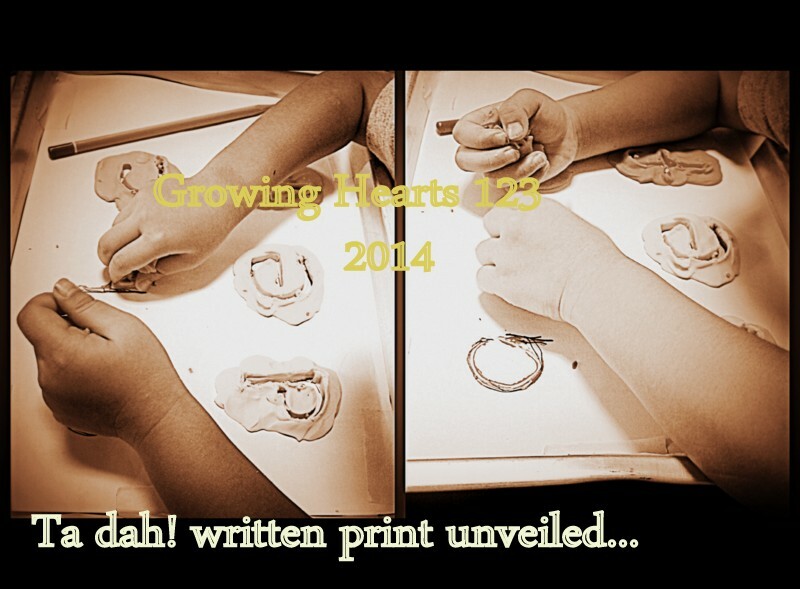 It’s better than just tracing letters as a beginning step, because with the clay as a guide they can’t go wrong. Thanks for the affirmation! : ) It just so happens that I have clay at hand.